Malaria is one of the deadliest diseases on the planet, killing about 2,000 people every day. Much effort has been put into developing a vaccine, and while there have been some encouraging results, it's proved difficult to control the malaria parasites and their mosquito carriers. Now, a new vaccine actually makes those vaccines work for us. 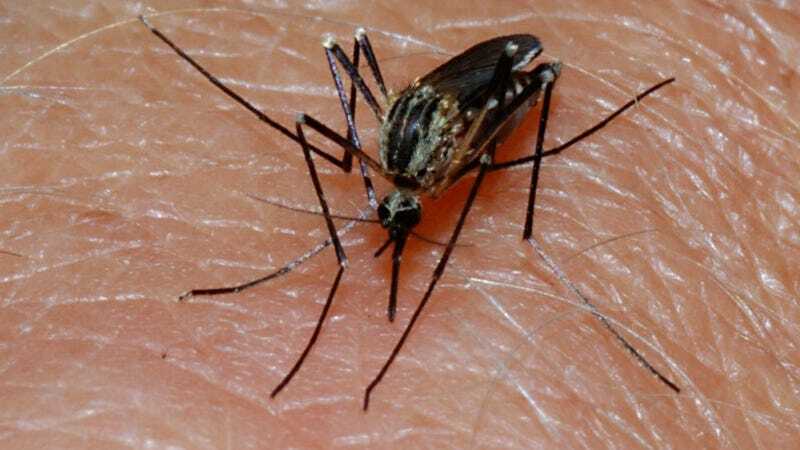 Developed by the American biotech company Sanaria, this new vaccine builds on the long-established knowledge that mosquito bites can actually protect against malaria, provided those mosquitoes have first been weakened using radiation. The only catch is that it would take a thousand mosquito bites for someone to actually develop real immunity to malaria, which has made the practical use of that knowledge fairly minimal. The idea behind this vaccine candidate, which has the catchy name PfSPZ, is to build up a population of lab-grown mosquitoes, irradiate them, and then extract the now weakened malaria parasites contained within. Those parasites can then be injected into the bloodstream. In an early clinical trial, 40 volunteers received varying doses, while 17 received a placebo. When these 57 previously healthy participants were exposed to the real malaria parasites, all became infected expect for members of the group that received the highest possible dose. Of those 15 participants, 12 successfully fought off the infection, suggesting the vaccine really does have some potential to fight off malaria, even if it is very early days. "We were excited and thrilled by the result, but it is important that we repeat it, extend it and do it in larger numbers... Based on the history, we knew dose was important because you needed 1,000 mosquito bites to get protection - this validates that. It allows us in future studies to increase the dose and alter the schedule of the vaccine to further optimize it. The next critical questions will be whether the vaccine is durable over a long period of time and can the vaccine protect against other strains of malaria." For more, check out the original story at BBC News. Image by dr_relling on Flickr.